Shake off the winter blues with some rib-tickling comedy from television favourites at Midland venues. 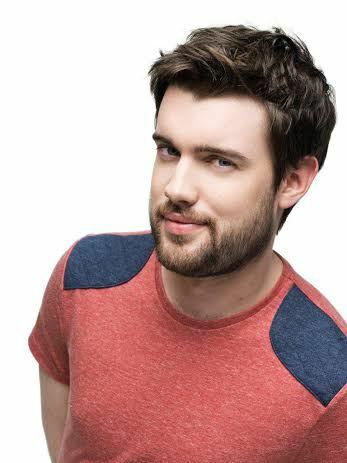 Jack Whitehall will try out new material at Wolverhampton Civic Hall on February 12 in preparation for a nationwide arena tour that takes in Birmingham NIA on March 14. The 'Work in Progress' Wolverhampton show sees the British Comedy Award winner honing his act for his first stand-up arena spectaculars, titled 'Jack Whitehall Gets Around'. The comic will perform in arenas 'in the round', a UK first for a solo stand-up tour. It will be his first tour since his critically acclaimed sold out 2011 production, Let's Not Speak Of This Again. Currently starring on television in Bad Education, Fresh Meat and Backchat, 25-year-old Jack cut his teeth at the Edinburgh Fringe, earning an Edinburgh Comedy Award nomination with his debut show, Jack Whitehall: Learning Difficulties. Jack has also hosted Live At The Apollo and performed at the Royal Variety Performance, as well as the prestigious Just for Laughs Comedy Festival in Canada. In addition, he has been nominated by Variety as one of the '10 Comics to Watch' and in December 2012 won the King of Comedy award at the annual British Comedy Awards. Russell Howard is another television regular returning to stand-up. 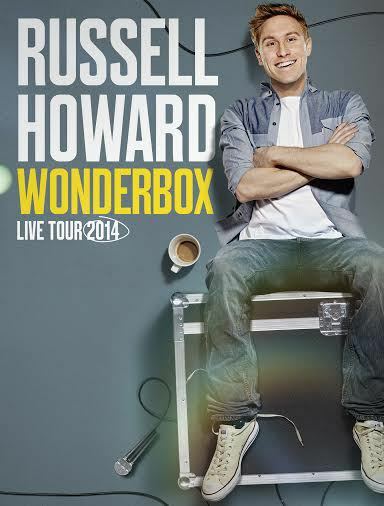 His Wonderbox tour plays Birmingham's LG Arena on March 21 and 22. His previous arena tour, Right Here Right Now, was in 2011 and proved so popular extra dates were twice added. In his new show, the star and creator of the award-winning hit TV show, Russell Howard's Good News, promises more of his trademark brand of upbeat and razor-sharp comedy. Arguably the current Queen of Comedy, Miranda Hart moves into Birmingham for four nights in April. Her My, What I Call, Live Show plays the LG Arena on April 4 and the NIA on April 8, 9 and 10. Before starring in the BBC sit-com Miranda and the drama Call The Midwife, Hart played Barbara in BBC 1's Not Going Out with Lee Mack, and earned a British Comedy Award nomination for her role in sci-fi sitcom Hyperdrive alongside Nick Frost. She has also popped up in Nighty Night, Smack the Pony, Ab Fab, Vicar of Dibley and Jack Dee's Lead Balloon. She played a cameo in David Baddiel's feature film The Infidel. Miranda earned her reputation as a comedian from her stand-up and sketch shows at the Edinburgh Festival and on the London circuit. She first went to Edinburgh in 1994 and it wasn't until 2005, when she did her last show at the Festival, that she was able to give up her job as a temp worker. She has become a regular on TV panel shows like Have I Got News For You and Would I Lie To You?. Why? From the small screen to the big stage for television comedians.